Bike around one of the most beautiful lakes in Europe! 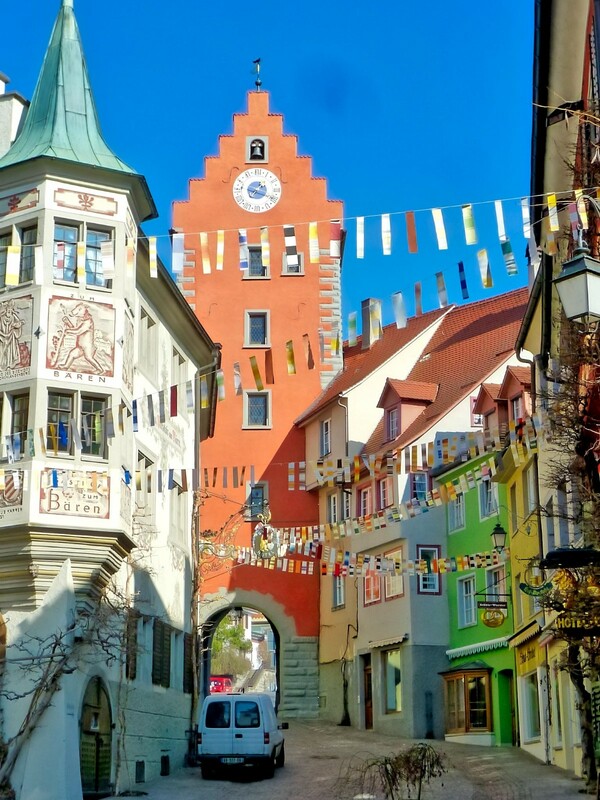 Bordered by three countries, Lake Constance occupies an extremely beautiful corner of Central Europe and provides the perfect backdrop for this scenic bike tour. 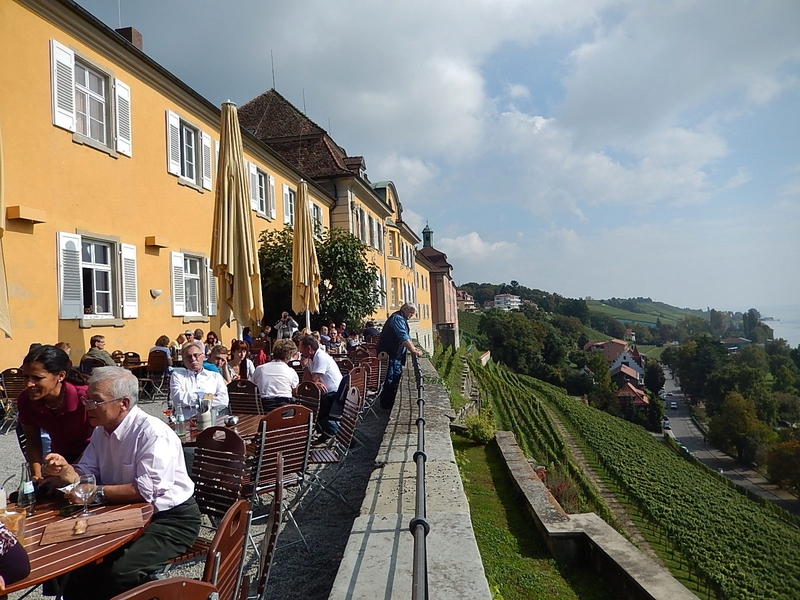 This bike tour around Lake Constance includes the most important areas of interest. 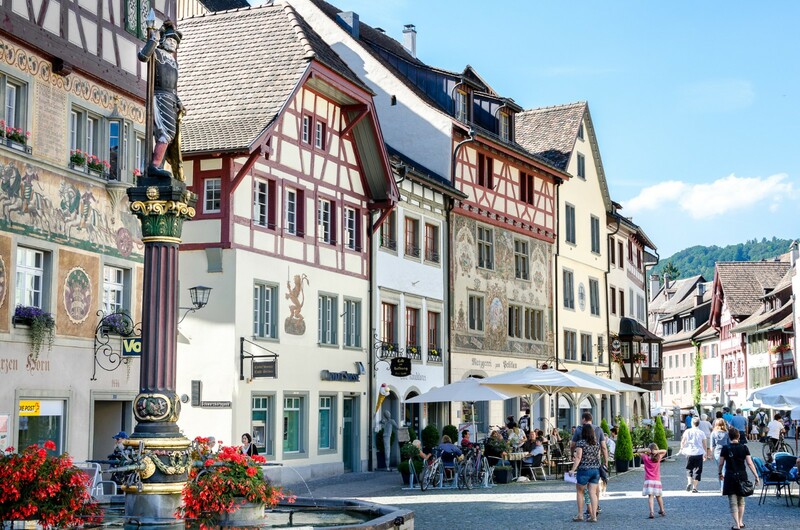 You will have an active and enjoyable holiday between the Pfänder mountain and the Rhine Falls, the flower island of Mainau and the Appenzeller countryside. Boat trips and ferry rides will allow you to experience the lake and numerous towns and villages are waiting to be discovered. 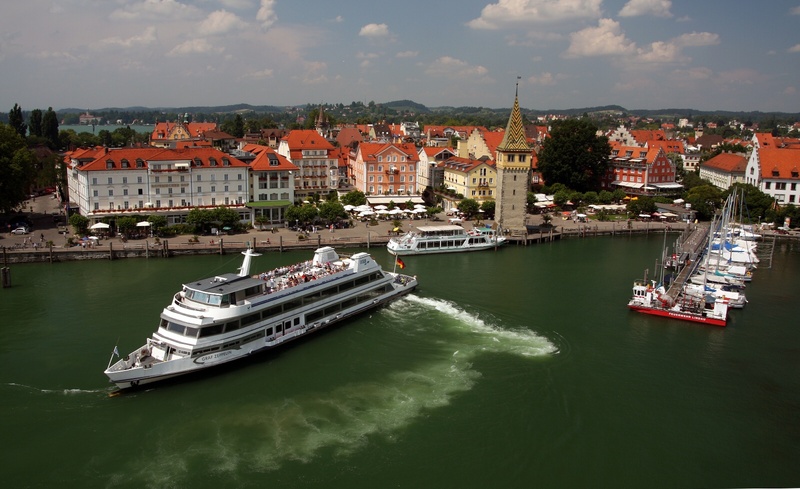 This extended bike tour along Lake Constance is also suitable for those not accustomed to cycling long distances. Looking for more? 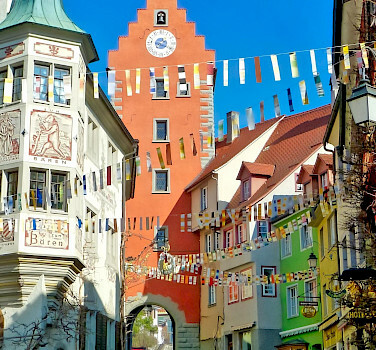 Check out our full list of bike tours in Austria, Switzerland, and Germany. *If booked in triple or quad room. 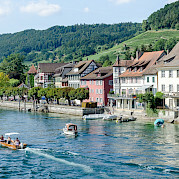 Train from Zurich airport to Constance, 1-2 hr. depending on connections. 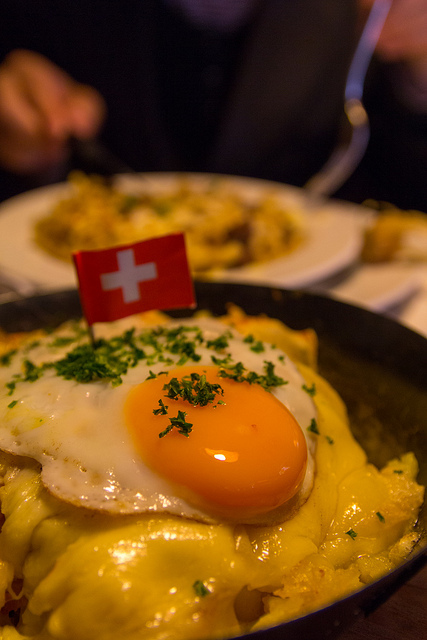 Price is about €21 per person. Electric bike and tandems available for supplemental fee. Teenagers’ bikes (20-26 inches), children’s trailers and other trailers available upon request and are included in tour price. 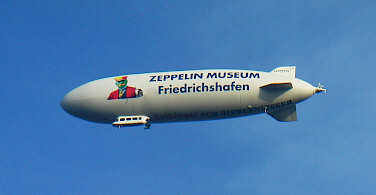 Entrances to Rosgartenmuseum, Mainau Island, the Lake Dwelling museum, and the Zeppelin museum. 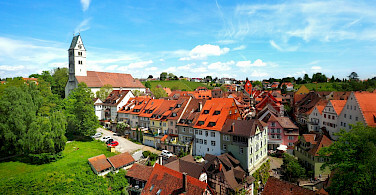 Extra nights available and recommended in Lake Constance. Easy to moderate self-guided bike tour on mainly flat, paved cycle paths along the shore of the lake or on paved lakeside roads. Total distance covered is approximately 181 miles with the opportunity for a 5-mile hike. Average daily distance is approximately 22 miles. 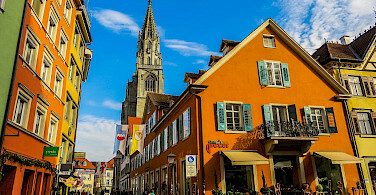 After arrival in Constance, the largest city around the lake, there is free time to explore the European church convention chaired by the German Kaiser Sigis­mund which fundamentally changed the Latin church, met here from 1414-1418 in the cathedral and the council building. The aquariums in the Sea Life Center and the Archaeological Museum are also recom­mended. 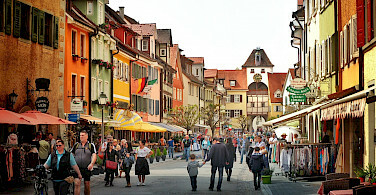 ​The first highlight is Reichenau Island, a UNESCO World Heritage Site since 2001. A boat will then bring you over to the Höri peninsula. 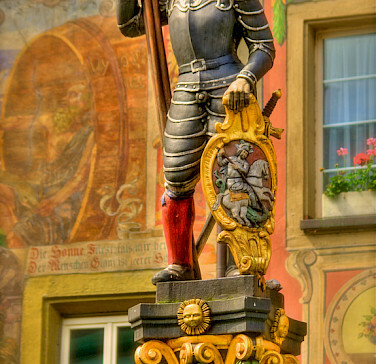 You will continue along the High Rhine to Gailingen or Stein am Rhein. 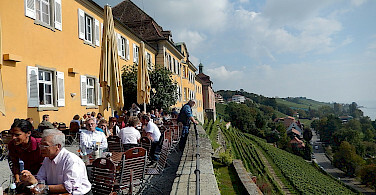 Today you will cycle to Schaffhausen, overlooked by the Munot fort. Then you will visit Rhine Falls, the largest waterfall in Central Europe. 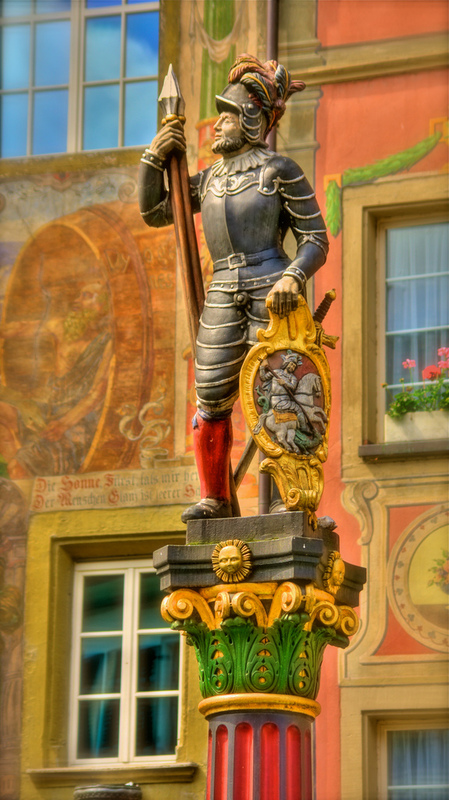 After visiting Schaffhausen, you will return to Gailingen or Stein am Rhein . 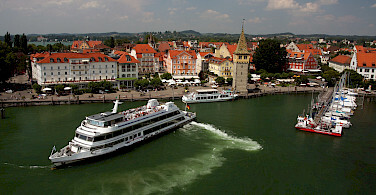 You will cycle up along the Rhein today back to Constance. 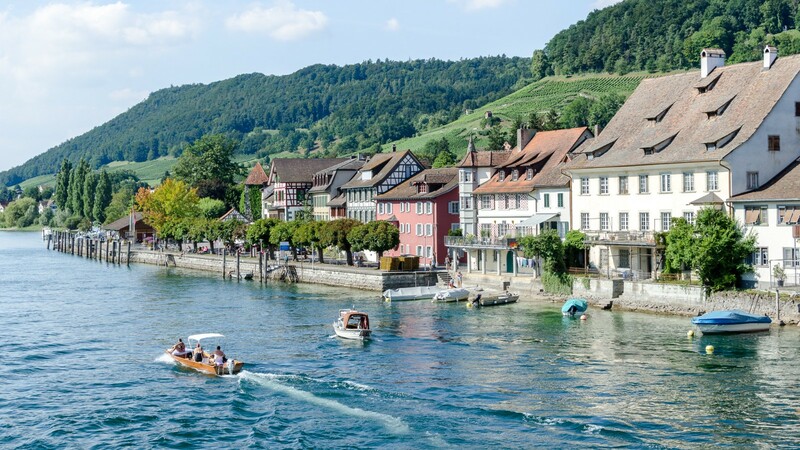 Nu­merous picturesque Swiss fishing villages lie along your return path through the peaceful countryside of the Lower Lake. Napoleon‘s step­daughter, Hortense de Beauharnais, made this area her adopted home. You will visit her former home in Arenenberg, which is now a Napoleon museum. 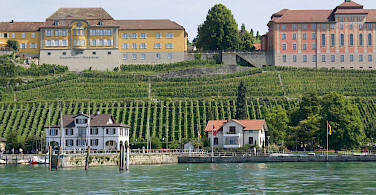 Today you will explore the "flower island" of Mainau. 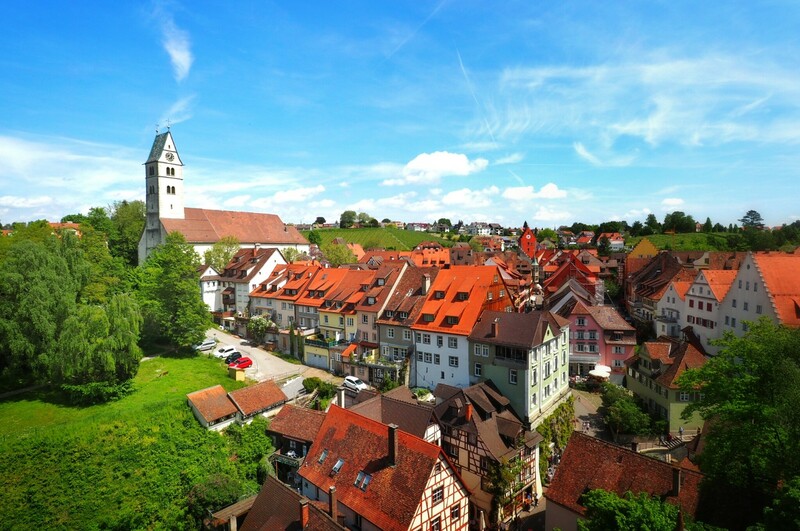 After your visit, you will have a short cycle trip through Allensbach, which is well known due to its public opinion research institute, to the former imperial town and modern Kneipp health resort of Radolfzell. You cross the "Bodanrück" and reach the „Überlinger See“ (part of Lake Constance) near Bodman. Visit the Lake Dwelling museum in Unteruhldingen. 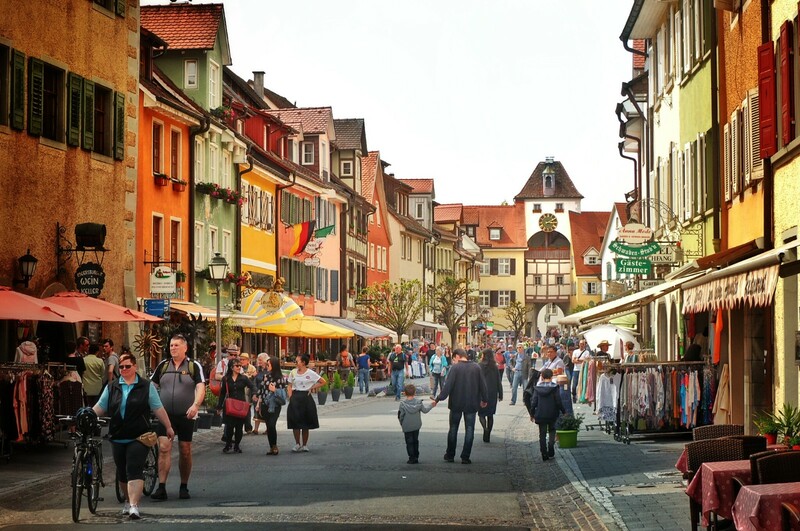 Meersburg awaits you today with numerous attractions. 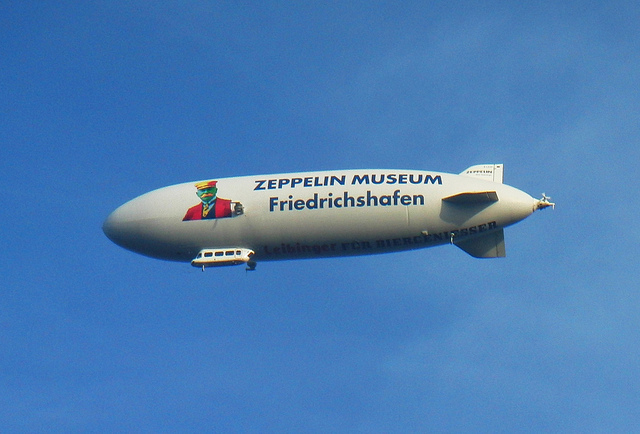 Accompanied by a beautiful panoramic view of the Alps, you will cycle towards the lively town of Friedrichshafen where you can visit the Zeppelin museum. 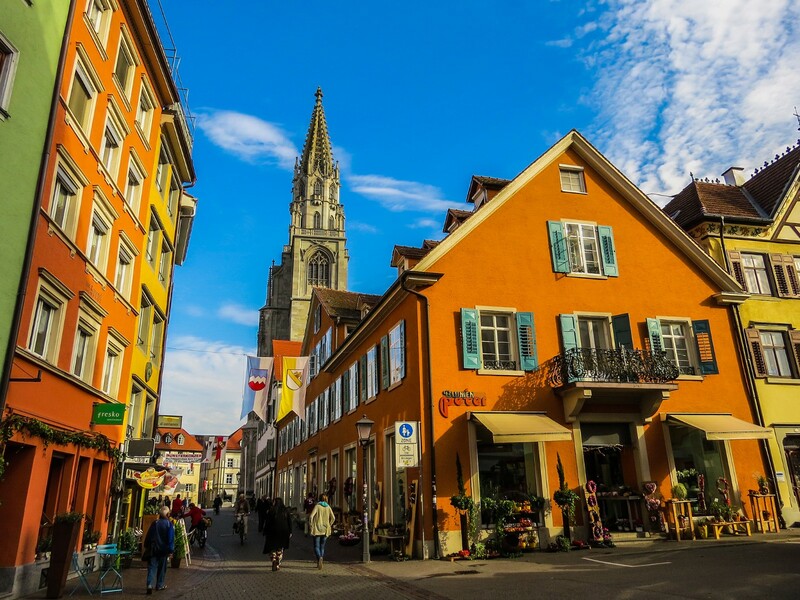 You will cycle through expansive orchards and reach the Bavarian me­tropolis of Lindau, whose protected old town is on an island. 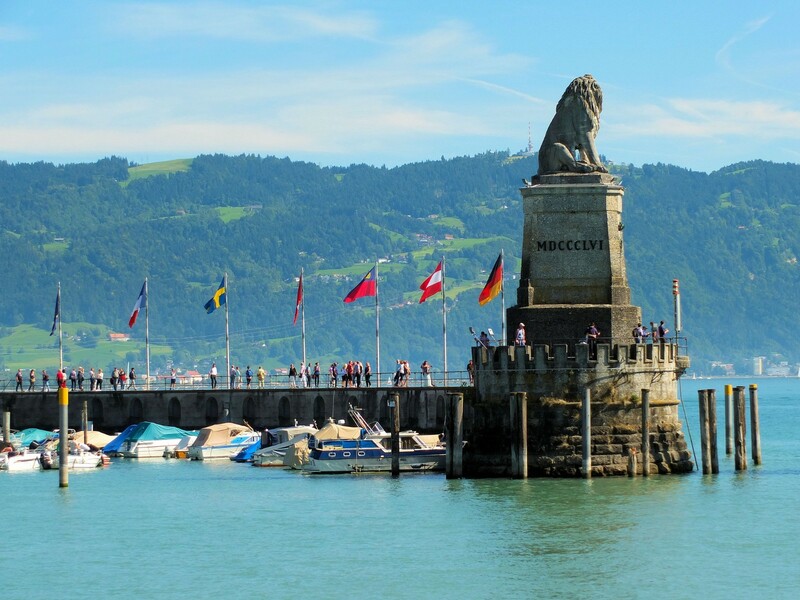 After a few kilometers, you will find yourself on Austrian soil and cycle directly along the lakeshore towards the drama festival town of Bregenz with its unique lakeside stage. 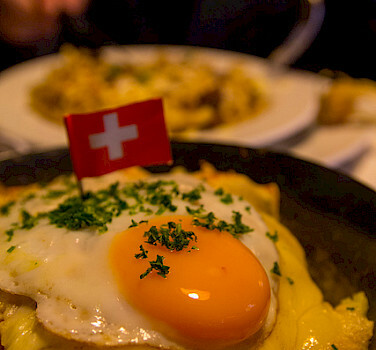 Recommended is a visit to Pfänder in the morning, after that cycle along the Alpine Rhine to Altstätten. 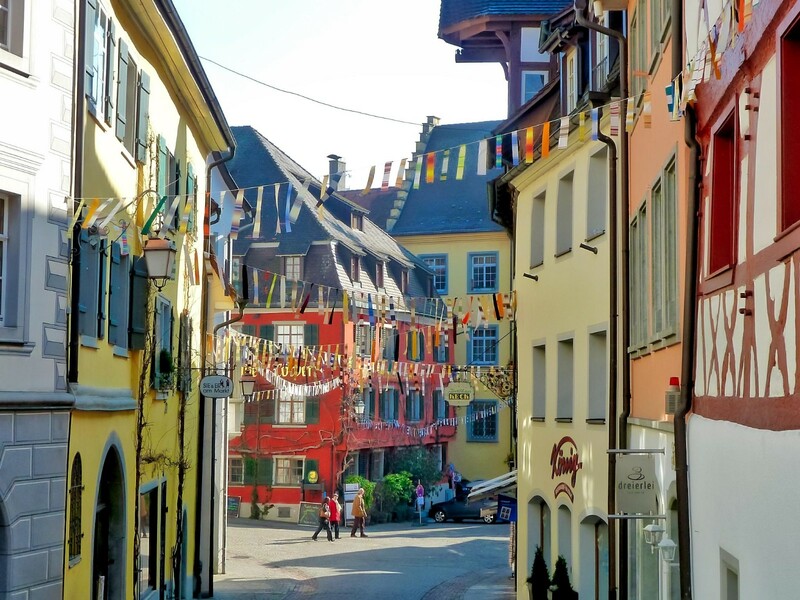 Take the train to Gais in the Appenzell region and through picture-perfect landscapes to St. Gallen. 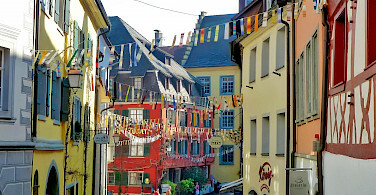 Today you discover St. Gallen. 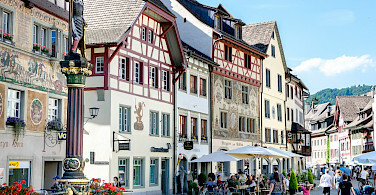 Alternatively you can go on a hiking tour in the Appenzell region. 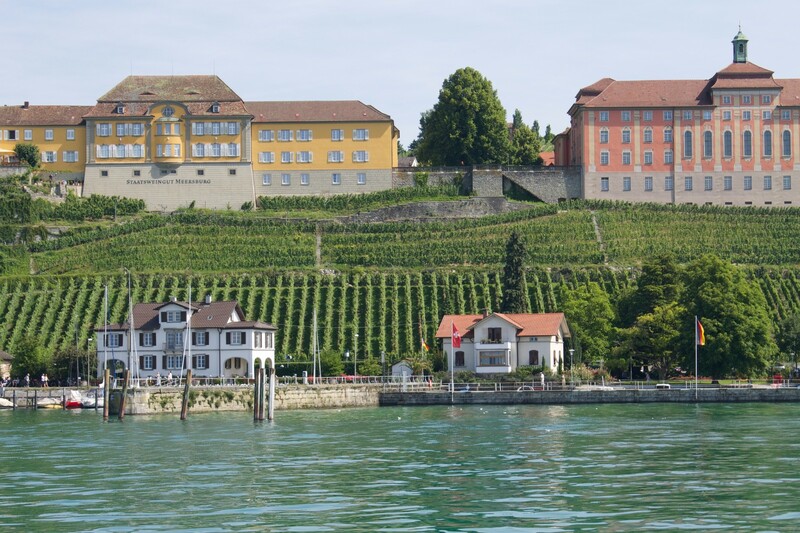 Cycle downhill to Arbon where you hit the lake again. 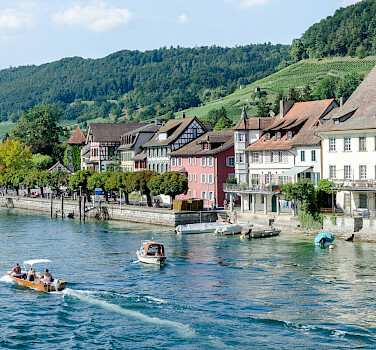 The route takes you along the banks of the lake through small villages back to Constance. Be sure to look at all of our bike tours in Europe or view our featured bike trips, specials, and news. This tour is run by Radweg - Reisen GmbH. The most memorable part was clearly the scenic routes, food, friendly people and cities selected for lodging. Great hotels! Tripsite delivered on services as promised. We were disappointed/frustrated with the lack of route details and direction into and out of the cities. Despite the network of paved bike trails/paths, we spent too much time confused asking locals for direction to our destination. Perhaps for persons accustomed to biking in Europe, the vague directions presented no difficulty, but for persons from America not familiar with the signage and more accustomed to turn by turn cue sheets, we were frequently challenged to find our path. Asking directions from local residents did give us an interesting opportunity to communicate across languages. We would recommend you add more detailed directions into and out of cities. Thanks for your arrangements to make our trip possible. We really did enjoy our bike tour around Lake Constance. This was the BEST bike trip! 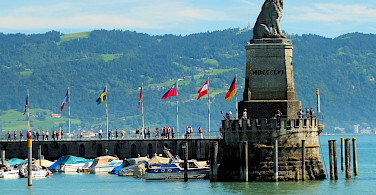 Lake Constance is a beautiful setting, lodging was terrific, loved my e bike and food was good. Thanks to you and Radweg-Reisin for making the arrangements.